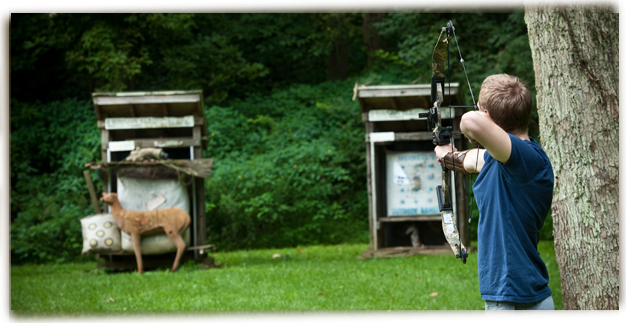 The Bullseye match is held in the pistol range at the Easton Fish and Game Association property on Reddington Road East in Lower Saucon Township, Pennsylvania. Matches are held from May through September on Monday evenings. Setup starts at about 5:30 P.M. 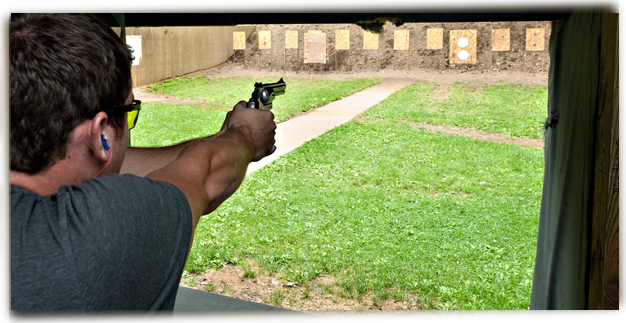 The first commands start at 6:00 P.M. Take down is around 7:15 P.M. Last three weeks in September – shooters to the firing line at 5:30 P.M.
Shooters may use pistols or revolvers. 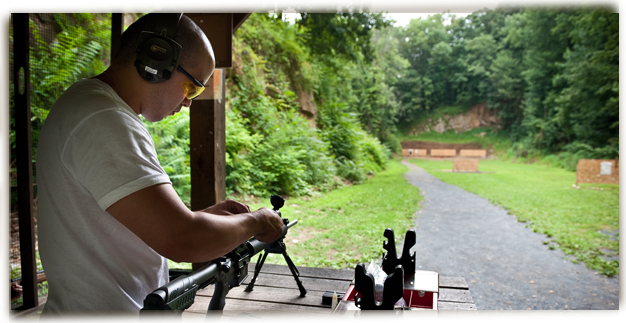 Shooters may use hand guns of 44 magnum or smaller calibers. 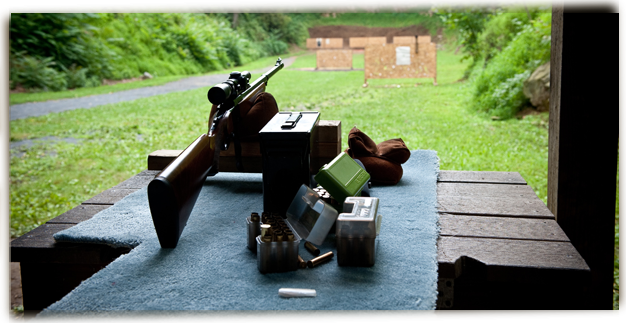 The most commonly used ammunition is 22 Long Rifle because it is less expensive. Iron sites or scopes may be used. All shooting is done according to the commands of the match director and official timed fire and rapid fire recordings. There are nine stages/rounds of shooting. Ninety total bullets are shot by each person. Stage one - slow fire - includes two groups (or strings) of five shots in a total of five minutes. The five minutes runs continuously. 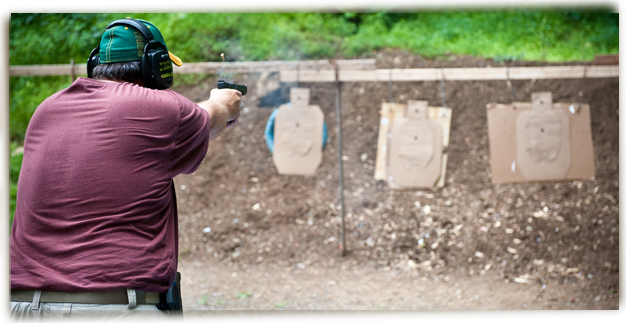 Shooters reload their second five rounds without command from the match director. Stage two - timed fire - includes two groups (or strings) of five shots each timed separately for twenty seconds. 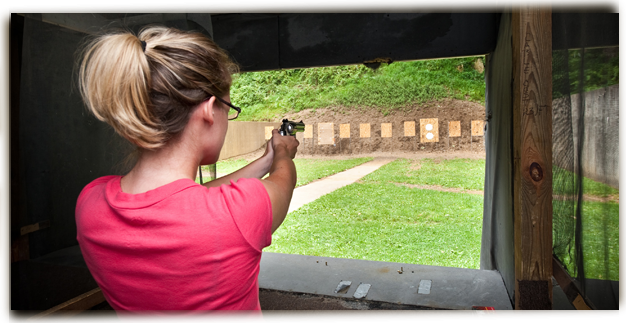 Stage three - rapid fire - includes two groups (or strings) of five shots each timed separately for ten seconds. Stages four, five, and six repeat the first three stages. Stages seven, eight, and nine repeat the first three stages. 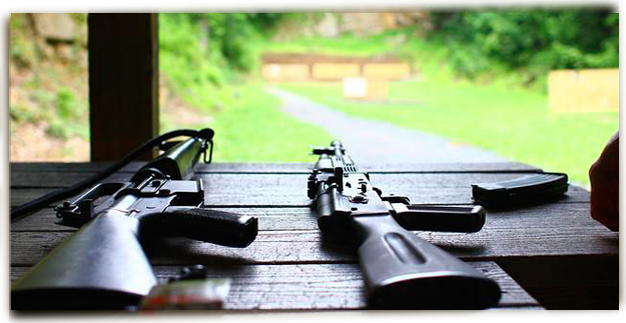 The word alibi is loudly stated by any shooter who has any gun or cartridge malfunction during a stage. Extra time will be granted so the shooter can finish shooting the stage.